Wisdom teeth are the third molars. They usually appear around your late teen or early twenties. Why do most dentists recommend wisdom teeth removal? It is often necessary to remove wisdom teeth to avoid problems. These problems include: gum infections, impaction, damage to adjacent teeth, periocornitis, decay and swelling. How are wisdom tooth removed? Wisdom teeth are removed by surgery. 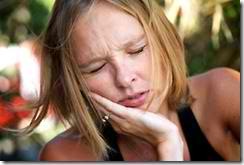 In most cases Dr. Nugent will refer you to an oral surgeon for wisdom teeth removal. The gum tissue over the impacted tooth is pushed aside. Next, the tooth is removed, and the gum sutured. About: Dr. Michael Nugent is a family dentist located at 3421 Burke Rd Ste A, Pasadena Texas. He has been voted Best Pasadena Texas Dentist Multiple Times.